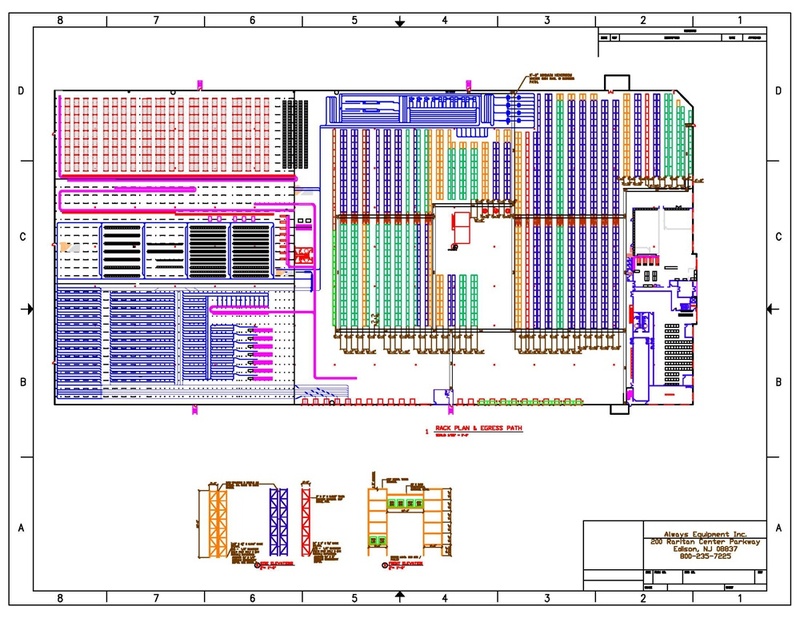 To make sure your warehouse runs successfully, you need a well designed warehouse layout. Find out how your warehouse layout affects your ability to effectively process orders and how you can improve this to streamline your operations. Whether you’re looking to improve your current warehouse design or are building a brand new warehouse or distribution centre (DC) from scratch, optimising your warehouse layout is vital to the success of your operations. Optimising your warehouse layout will not only improve your usage of space, but also boost your warehouse productivity and save you money. Needless to say, this ensures that you achieve your business goals and delight your customers with orders that arrive on time, every time. A fully optimised warehouse design improves the flow of traffic in your warehouse, reduces stock losses and boosts overall efficiency. Poor warehouse layout has a negative impact on your bottom line. The good news is that you can easily begin optimising your warehouse design using these simple tips from our supply chain experts. When trying to optimise your warehouse design, data is your best friend. Your data should drive the layout of your warehouse and allow you to identify the stock which is picked most often and group these items in the most efficient manner. You’ll also need to look at the inventory you hold and identify things such as seasonal patterns. A WMS can provide you with the data you need to optimise your warehouse design. Apart from providing crucial data, there are also many other ways your WMS helps you to optimise your warehouse layout more efficiently than if you were trying to do this manually. For example: replenishing a full pallet to a pick face in one movement (rather than case by case) and ensuring that the material handling equipment you have in place is appropriate for the products you’re handling. Your WMS is a facilitator to a well-designed warehouse. It can organise, manage and process activities and resources in the warehouse. However, if the physical layout of your warehouse limits the ability of these to be actioned, then you are limiting your ability to optimise the use of your WMS. To ensure your warehouse consultants consider how the functionality of the WMS can be leveraged to support the design and vise versa, it’s a good idea to include your WMS provider and physical consultants right from the beginning of the project. This will allow you to get the most out of your WMS, MHE and warehouse layout right from the start. Read our article, How to prepare for a successful warehouse management system implementation, for more tips to help you get the most out of your WMS. Using the insights from the data you’ve collected, you’ll need to map out a plan for your warehouse design. Whether you’re building a brand new warehouse or upgrading an existing facility you should start by determining and prioritising the objectives for your warehouse facility and operations. It’s also important to clearly identify any constraints that’ll impact your plans to meet those objectives. Typically a warehouse will have a lifespan of 10 to 15 years, so it’s critical that the design supports the anticipated business growth drivers, and is flexible enough to support the inevitable unexpected business changes that will arise. There are literally thousands of options when it comes to warehouse process flow, layout and the material handling equipment required to support them. Given that the design to build, modify or retrofit your DC is such a critical and costly exercise, it’s prudent to enlist an experienced partner that can guide you through the process. Improving the flow of your warehouse by ensuring the most frequently picked items are in the Golden Zone of your warehouse, will reduce travel time between picks and improve ergonomics and efficiency. Pick Path - focus heavily on the pick path that will be travelled when orders are being processed, as this will improve productivity and efficiency. Replenishment Strategy - ensure that your replenishment strategy aligns to your picking strategy so that pick faces have sufficient inventory to satisfy orders when pickers arrive at them. Pick Face UoMs - consider separating storage units of measure (such as pallets and cases) so that they can be picked and stored by the appropriate material handling equipment. Making small, incremental improvements to your warehouse layout, based on the data from your warehouse management system, on an ongoing basis will help you ensure that your warehouse running at its peak performance.